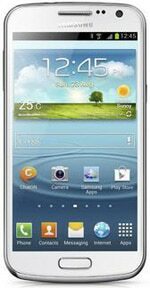 Available initially in Russia and the Ukraine and due to ship later into South East Asia, China and Korea, the Samsung Galaxy Premier is designed to be a lower cost version of the Galaxy S III and features a 4.65-inch screen plus front and rear cameras. Like its pricier sibling, the Premier has a 720 x 1,280 Super Amoled panel. A dual-core 1.5 GHz TI OMAP 4470 processor drives the handset, which runs Android 4.1 Jelly Bean. The device also features Bluetooth 4.0 and NFC.